Mathew T @ Glenbrae School: what is matariki??? Matariki is the Maori name for the star cluster known as a Pleiades. Traditionally for Maori when it appeared just before dawn late May or early June. 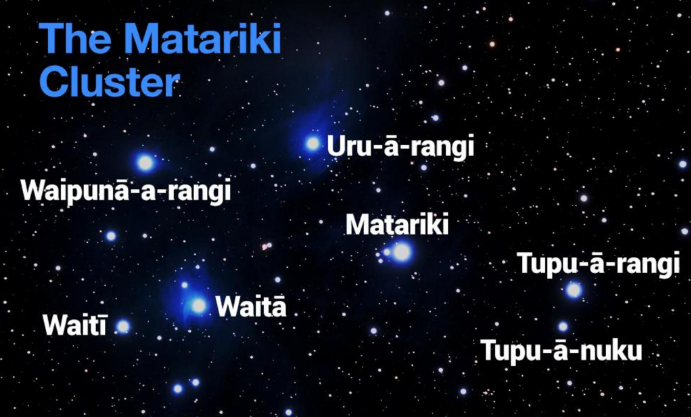 One of the translation for Matariki likes to make their kite and net’s and the mother of the stars is surrounded with her daughters and the daughters are part of the stars too. I feel quite sad for does who had pass away and the celebration of maori new year. It sounds like you have learnt lots about Matariki!Remember to write things that you find on the in your own words, although I know most of this was written by you I can still see a couple of things that you have copied and pasted. Don't forget to share where you got your information and picture from!